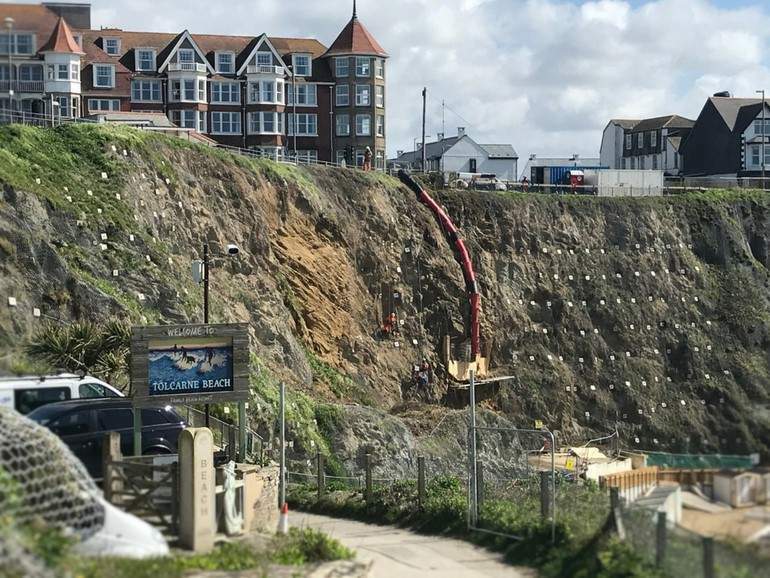 Cormac is implementing rockfall hazard mitigation measures using our Steelgrid® HR high strength mesh system polymeric coated on the Cornish coast at St Ives and Newquay (Tolcarne Beach). Designed by John Grimes Partnership, both works involve drilling soil nails and anchors into the bedrock. These will then have plates screwed onto the end which, when tightened, will hold larger parts of the failing cliff in place. Smaller pieces will be caught by the standard Maccaferri polymeric rockfall netting, which will also be attached to the anchors. These can be released under control by loosening the mesh, allowing them to fall safely. Abcas (UK) Ltd is involved in the project at Newquay (Tolcarne Beach) using 3m wide rolls of Steelgrid® HR polymeric coated. In November 2016, rock debris fell from the cliffs at Tolcarne onto the beach access road. This landslide resulted in the access road being closed for public safety. After site visits and slip analysis, it was decided that the road could not be reopened without work to secure the cliff. Phase one of the work was completed in July 2017 and stabilised the two priority sections of the cliff. Phase two is ongoing now. Carnon Contracting installed the Steelgrid® HR 30 Polymeric with HR KIT at the St Ives location. 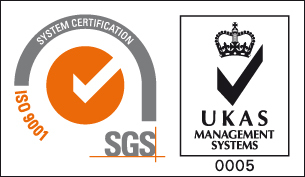 A breakthrough in composite mesh technology, Steelgrid® HR was chosen as the best solution to provide reliable long-term performance for aggressive site conditions. Rockfall protection systems are key elements in the design and maintenance of road and rail infrastructure networks because of their direct impact on safety. Our solutions are designed with our MacRo software along with our technical expertise, service and quality and durable products. These projects are a clear example of Maccaferri’s support for the industry in reducing environmental hazard posed by rockfalls on human lives and properties.